Roofing is 85% complete and should be completely finished in a couple of more days providing this good weather stays around. Zone 1 Duct work is complete on floors 4, 3, and 2. 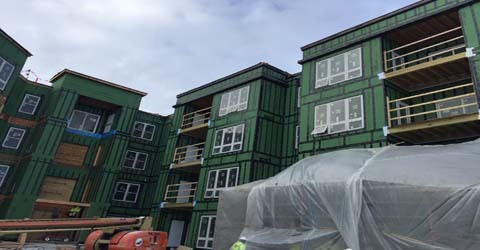 HVAC rough-ins are 90% complete in Zone 2. 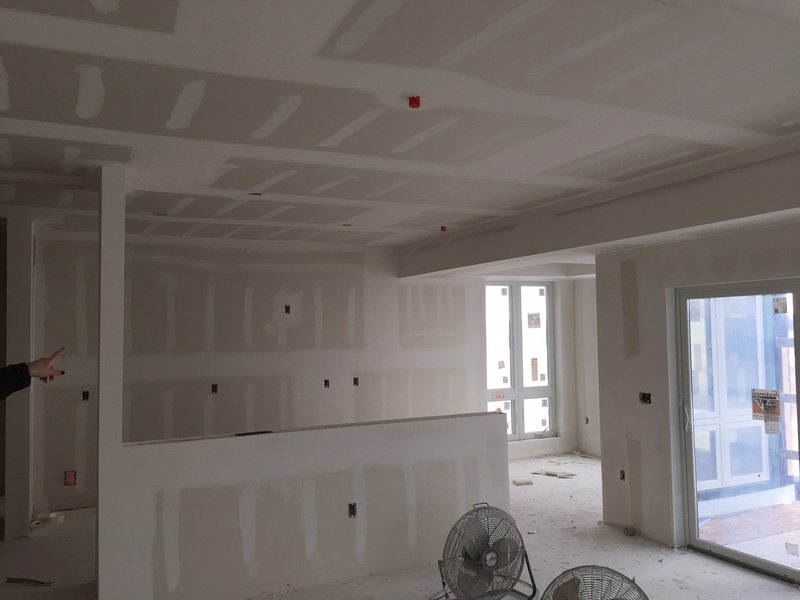 Electrical rough-ins are complete in Zone 1 and are in progress on the 4th floor of Zone 2. 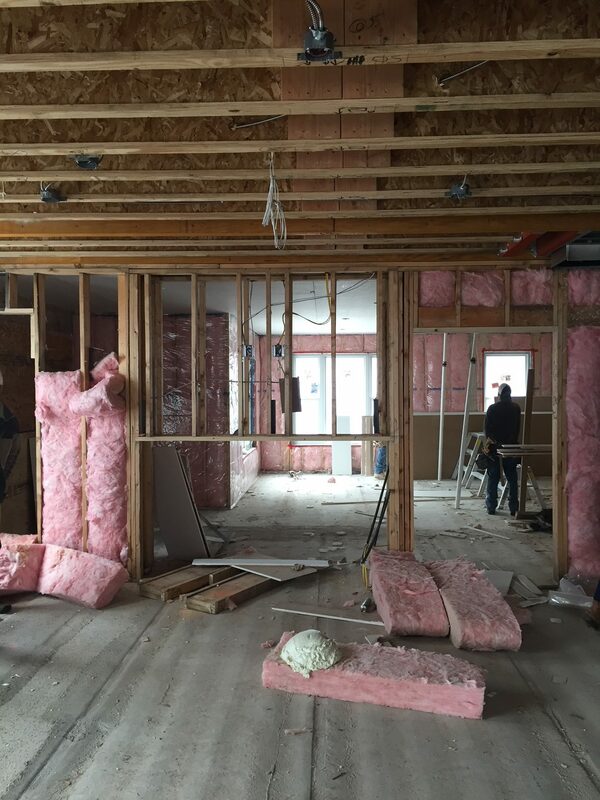 Insulation is complete in all of Zone 1. 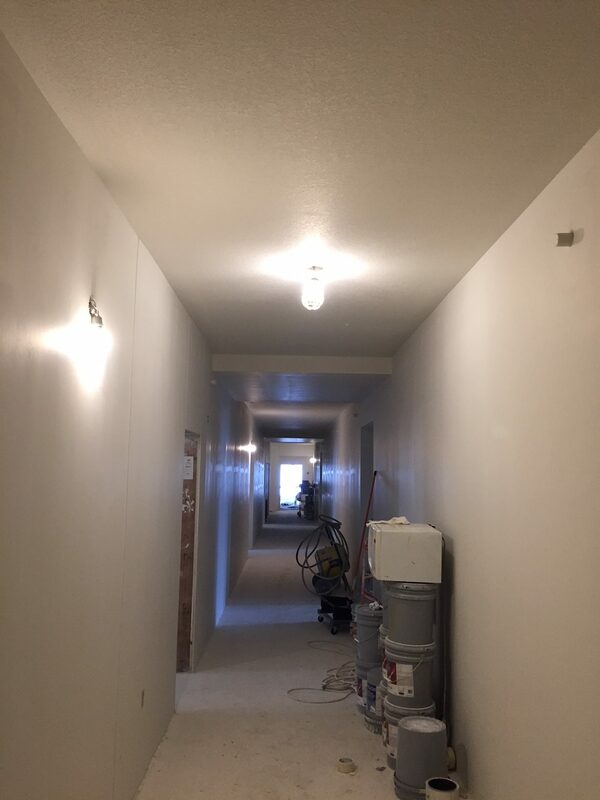 Sheetrock is complete in Zone 1 for floors 4, 3, and 2 and is in process for floor 1. Texturing is complete on floor 4 and in process on floor 3. 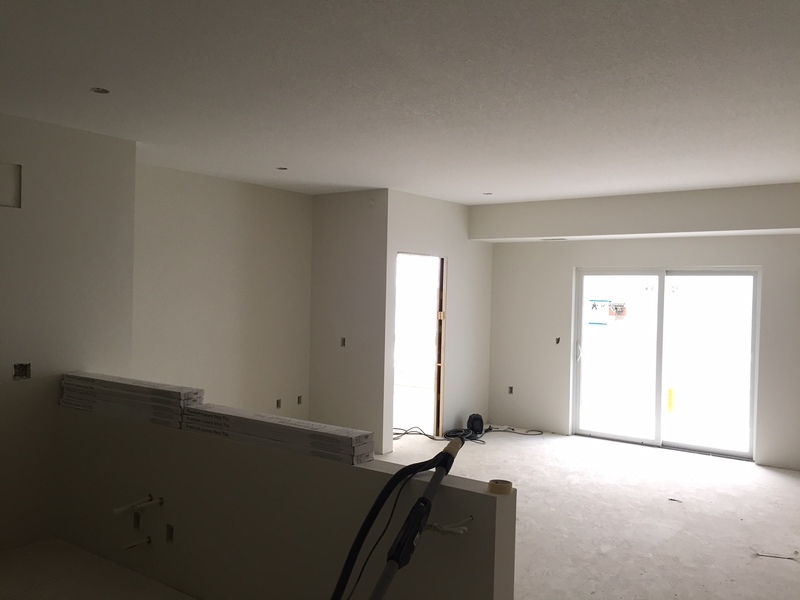 Painting is complete on floor 4, and flooring and trim work begins next week! !